For the first time, enjoy over seven hours of Ani Pema's trademark humor and a down-to-earth style in one collectors edition. I don't know how to rate performance. She is not performing anything. She speaks from her years of being a Buddhist nun. There is no story. It is our life's story that she enters into. I have read many books on Buddhism without really understanding what they were teaching. 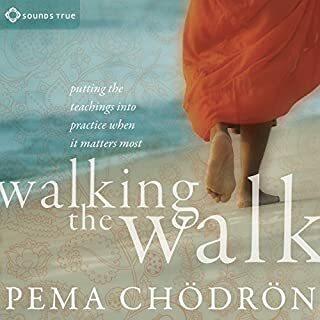 Pema Chodron has touched my heart. Now I understand. 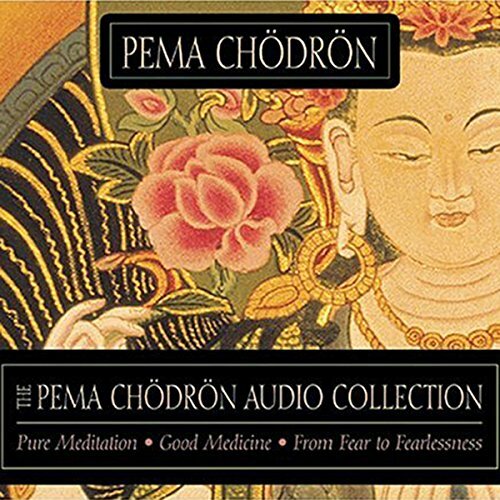 If you could sum up The Pema Chodron Audio Collection in three words, what would they be? We so need to drink in and think upon the ease and humour of these ancient teachings served up in simple, contemporary language. 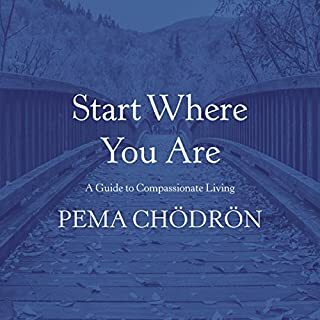 Pema Chodron becomes your best friend, your wise confidante, your spiritual sister. Conversations with a master, a boddhisatva of the highest order, a woman with a gift for communicating complex and subtle ideas in delightful, pithy language. 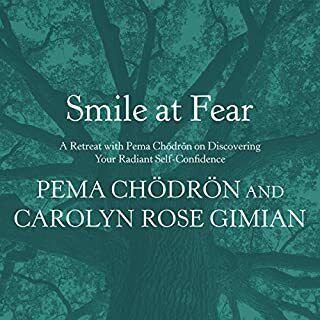 Magic, there is magic in the world of experience that Pema Chodron opens up for all with the time to listen, with the intention to add to what peace there is within ourselves and within the dynamic, ever-changing world of Samsara. I love listening to her and reading her books. But, this was a little different. It's not a book, it's a collection of teachings which means it doesn't read (or sound) like a book. The three teachings overlap each other so there is quite the duplication of content and over explanation. There is background noise and moments where Pema is working out what to say next. Don't get me wrong, she's amazing and as a teaching series this is great. But it's not a book. It's not trying to be a book and I bought it as a book. This is very long, but there is very little repetition of ideas. Her insights are amazing and so helpful. This audio has so much info that I will need to listen at least one more time. This is a recording of a retreat session, so there is a bit of an issue of recording quality, but it does not take away one bit from the quality of ideas being presented. I’m not a Buddhist, and I’ve never really meditated. 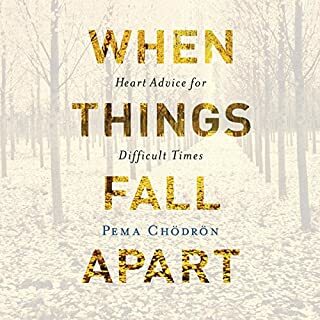 A few years back, however, a good friend gave me a book by Pema Chodron called, When Things Fall Apart. I loved it and found much of what the author had to say both interesting and helpful. When I found more of her work on Audible, I dove in, thinking it would be something different and something perfect for audio. I was right. I’ve gone back and listened more than once and each time I learn something a little different. 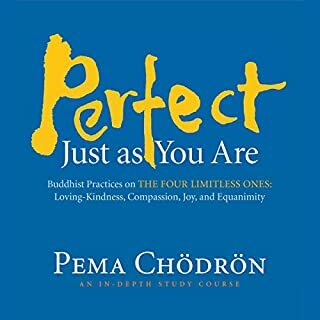 An American born Buddhist nun, Pema is uniquely attuned to a Western audience. She brings an authentic Buddhist perspective tailored to people like me. These are speeches, or talks that the Author gave during a retreat. They were recorded live, so the quality is not as good as with a professional recorded and produced audiobook. There was no chance for the author to stop and start over, so it’s not perfect. Still, her voice itself and the skill she has in explaining these spiritual concepts are excellent. 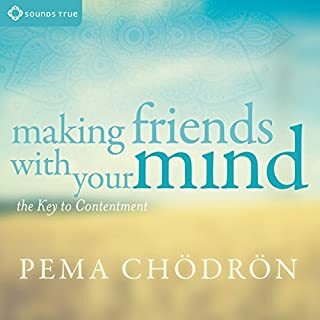 I’ve tried to listen to other meditation programs, thinking it would be an interesting audio experience, but this is the first I’ve been able to get all the way through. There is no hocus-pocus or uncomfortable chanting. 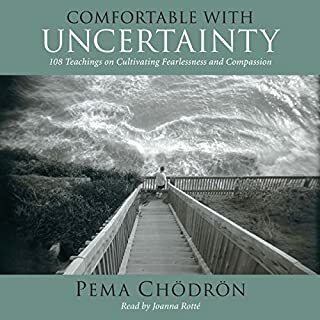 Pema Chodron sounds like a normal woman, with great insight into these ancient ideas as reflected in today’s world. It’s a pleasure to listen to her. Bringing the concepts of Buddhism into the modern age with humor, wisdom, and compassion. A terrific read. 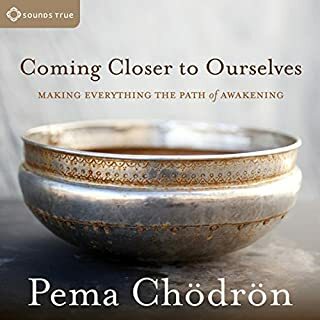 The Pema Chodron Audio Collection made for great listening to take the edge off the most hectic days. As the title implies, this collection is three lectures in one, all recorded live. Lecture 1--Pure Meditation--discusses the fundamentals of meditation, becoming aware of our always-thinking mind, and coming to accept ourselves at face value. 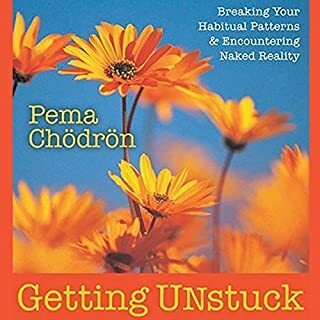 As Pema discusses, meditation serves five reasons: steadfastness with oneself, clear seeing, allowing the experience of emotional distress, and attention to the here and now. Lecture 2--Good Medicine--focuses on maitri: unwavering self-acceptance. GM teaches how happiness lies not in the "seven dharmas" (pleasure/pain, praise/blame, etc. ), and discusses the need to positively train your mind "like a dog," to constantly "stay" with you through good times and bad, and not have any self-aggression. 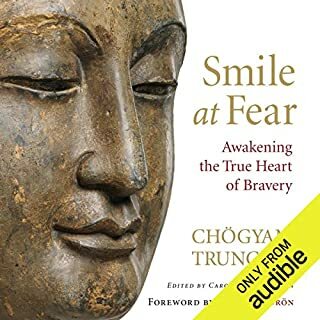 This book also discusses the importance of compassion ("may others feel this happiness, and be relieved of pain"), and tonglen (using difficult or painful scenarios as a gateway to your own maitri). Perhaps my personal highlight was the discussion of elders often sheltering themselves within walls for safety, then becoming fearful of anything within the walls themselves. Ultimately, the "good medicine" discussed is the need to embrace life and all of its mortalities without fear. Lecture 3--From Fear to Fearlessness discusses enlightenment, materialism, and "The Four Limitless Ones." To be enlightened is to be completely fearless and open to all emotions and thoughts. The "Lords of Materialism" (form, speech and mind) move people away from enlightenment. In contrast, the "Limitless Ones" consist of maitri (covered in Lecture 2), joy (the celebration of happiness in others), compassion (covered in Lecture 2) and equanimity (remaining balanced, not falling for the seven dharmas). Strategies are discussed on how you can pursue these qualities--and ultimately move closer to enlightenment--on your own (practice maitri by thinking of someone loved/neutral/despised; not clinging to emotions of pity or anxiety when someone else is in need). 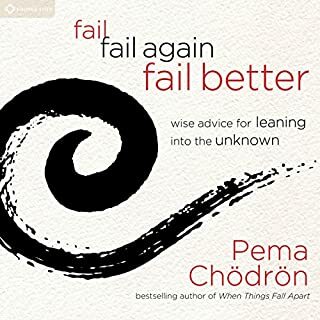 Buddhist teachings like this title are so appealing to me because they are straightforward, self-centered, logical, challenging and appeal to the emotions. These recordings, while not the greatest quality, let Puma's warm personality come through. Enjoy. 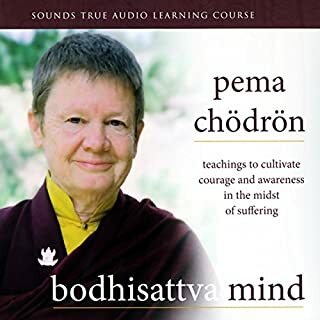 Would you listen to The Pema Chodron Audio Collection again? Why? 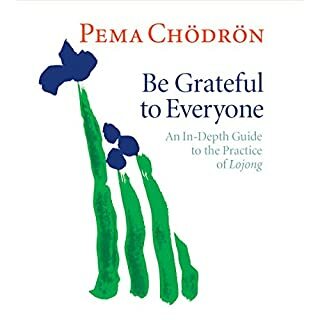 while her writings are always powerful and profound, listening to Pema is really the joy. She is as real, funny, deep, and human as you would expect from what she writes. This is three of her books in one and will save you some dough. 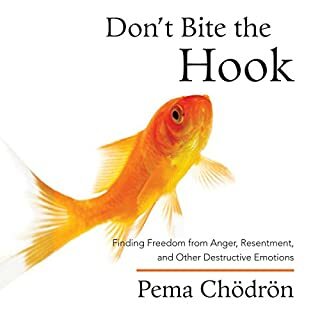 I know people that follow Pema Chodron’s book like some people follow the bible. However, I don’t think they've ever heard her talk. In the first book (talk) she talks about recent to the events before the events of this talk like weeks before she talks about losing her mind with her granddaughter. She talks about how monks that are suppose to be these people in complete harmony with the world around them really aren't. She talks about learning to deal with this and why its hard even for the Buddhist masters. In the second book she talks about compassion for everyone. She goes into depth concerning tonglen meditation. Which I've tried and it’s very hard at first. It’s very powerful once you get the hang of it. It’s about changing our relationship with pain and pleasure. Why run from pain? Why embrace pleasure? What is the real difference? I learned that the difference between pain and pleasure is perception. And it’s not easy to see it. I learned in the third book that doing tonglen meditation is very helpful. 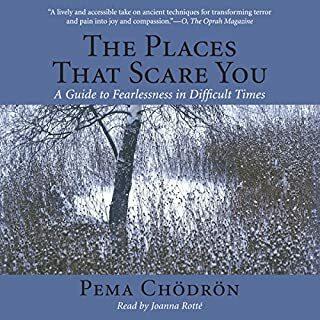 Loved Pema's narration. Her voice is so warm, and she embodies the ease and humor in opening to the true nature of being that she teaches. She relates personal stories that helped me understand the many concepts of these teachings. 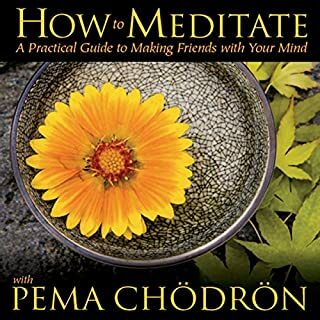 There are also guided meditations within the chapters. If this were an 8 track, I would have worn it out! First of this genre I have purchased. 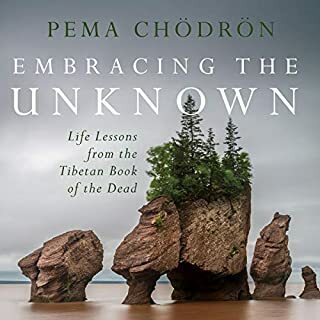 Pema is humorous and enjoyable to listen to. Perfect for unwinding when you get ten minutes or an hour. I've never felt a teaching touch me so deeply. I feel i now have the tools to deal with life's ups and downs with more confidence and even joy! Thank you so much Pema and the people at true sounds! 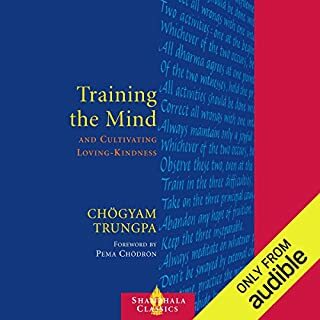 Whether you are looking for techniques to practice, background information on Buddhist tradition or just an engaging listen, for 7 hours worth of all three this is a good investment and you are sure to find something of value here. The teaching on the practice of Tong Len was very good. As a Christian it shows me how to begin to love my enemies and how to love my neighbour as myself. I love how she expresses very important teachings with humour - as she says, no big deal! Wonderful voice, humourous. This has opened my eyes that to be free from suffering is not easy. It needs us to work very very very hard at being compassionate to even those who have wronged us menacingly. wonderful. delightfully Pema. delightfully human. Realistic, gentle about the human condition - but sees it all. worth hearing this many times over. An excellent trilogy of presentations. each complimenting the other. The humour and real life experiences being the lessons home and the opportunity to meditate only enhanced the experience.